For someone staying in Mumbai, the financial and entertainment capital of India, it’s not hard to imagine the relief a long weekend ushers. The blessing in disguise, you ask? That the “constantly-buzzing” city lies on the west coast of India. A mesmerizing and rich part of the country that harbors a number of natural scenic spots ideal for a short vacation. So whether you’re a seasoned adventure buff or like a kick-back-and chill time, we’ve got your short vacation needs covered. Flowing rivers and gushing waterfalls amidst luxuriant vegetation offer the tranquility one looks for in a holiday. This small city settled on the basin of River Ulhas is less than a hundred kilometres away. Peth Fort, Bahiri Caves and Ulhas Valley are ideal for an adventurous outing involving trekking, waterfall climbing, camping and rappelling. The small hill station, Karjat, also holds pilgrimage significance owing to being home to the ancient Kondeshwar temple. Once home to Buddhist monks, Kondana caves here boast of charming rock-cut antiques and are worth visiting if you are a history buff. Karjat’s proximity to Mumbai (a mere 62.3 km!) 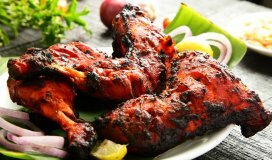 has made it a well-received destination for an easy escape that also has innumerable luxury resorts to stay. Quite famous as the paragliding hub of India, Kamshet is just a couple of hours (101.7 km) away from Mumbai. The place looks heavenly what with the surrounding Western Ghats juxtaposed with paddy and sunflower fields. Sigh! The tropical wet and dry climate add to the paragliding and parasailing experience here. If you're here, we recommend you visit the Karla Caves and Uksan lake for a quiet downtime. Also, with Lonavla and Khandala at equal distances from here, the value-bar of the place rises multifold due to a number of opulent resorts and hotels situated in these places. If you're done with the hills and mountains, we suggest you catch up on some sun and sand. What better than Alibaug, which is the perfect beach destination near Mumbai. One can even embark on a ferry from Mumbai to Alibaug instead of the methodical road trip. For all those looking for an intense adrenalin rush, the coastal town of Alibaug offers a good deal of water sports at its gorgeous transparent beaches. 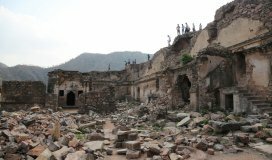 There are also a number of historical places, an admirer and history enthusiast would truly fancy. Alibaug Fort, Sagargad fort, Kolaba fort and Korlai fort are ancient architecture marvels that one must definitely visit. 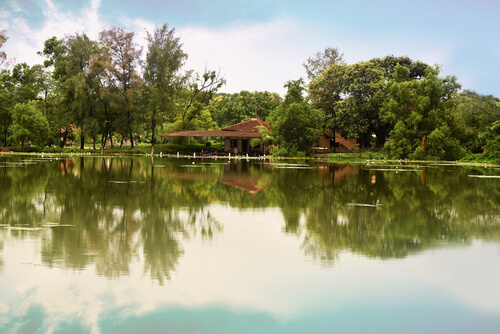 When you're done doing all this, head to the Phansad sanctuary and go do some bird watching. Love to go river rafting? Kolad is your wish fulfilled. At a distance of around 120 kms from Mumbai, Kolad is a small village in the Raigad district. You can go rafting and kayaking along the Kumdalika River and indulge in rappelling and hiking near stupendous Tamhini and Kansai waterfalls. Raigad city is a living reminder of the royalty of Maratha kingdom. 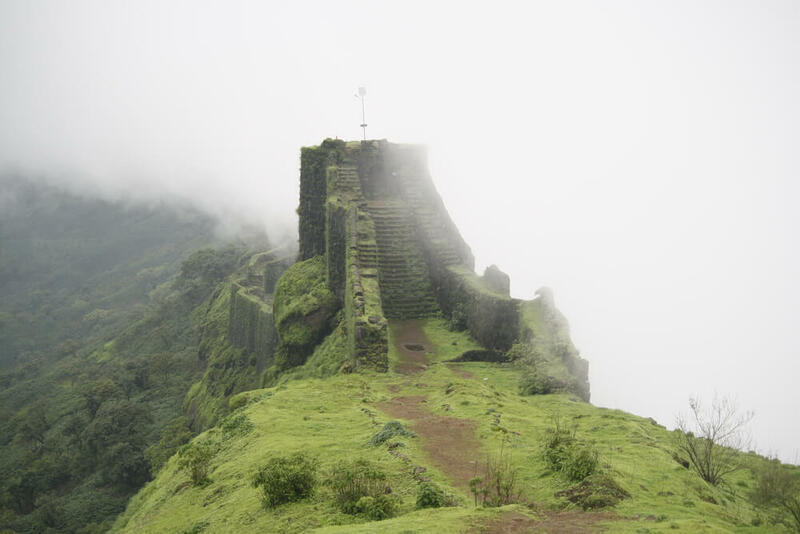 A former capital of Marathas, the main attraction of the place is Raigad Fort that stands tall on the Sahyadri mountains. The topography of the land is a gratifying sight with numerous water bodies emerging from the hills at Kolad along with the medieval forts encompassing the Raigad city. A super scenic landscape to say the least! 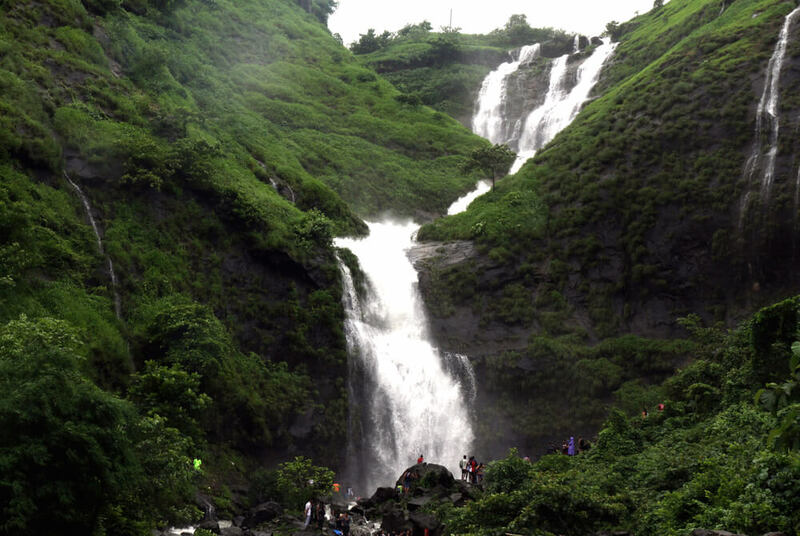 The breathtaking Malshej waterfalls give the place its magnetic appeal. If what you are looking for is an ecstatic driving experience on your long weekend, set about for Malshej Ghat! The beauty captures your sight all throughout and leaves you in a state of pure bliss and visual pleasure. In fact, the route has been recommended as one of the most romantic drives around the region. This romantic getaway can get exciting with a few adventurous activities at hand. 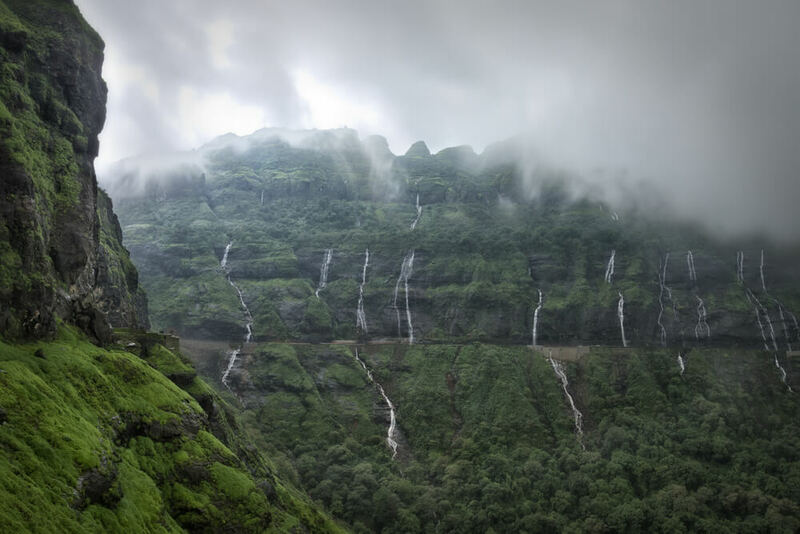 One, for example, is the Harishchandragad trek- a challenging trek in the Western Ghats. Of course, this isn't all. 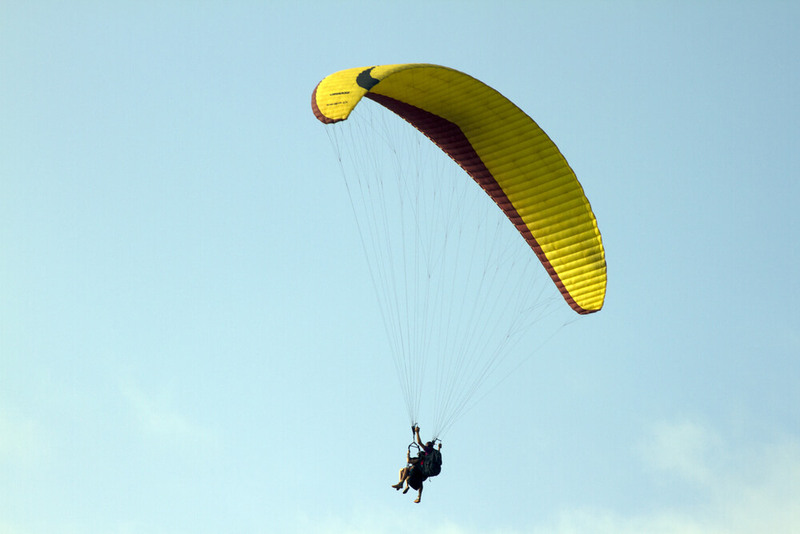 Paragliding and rock climbing are also up on the list of activities you can explore here. These small towns and cities spread across the state make Maharashtra indeed beautiful. 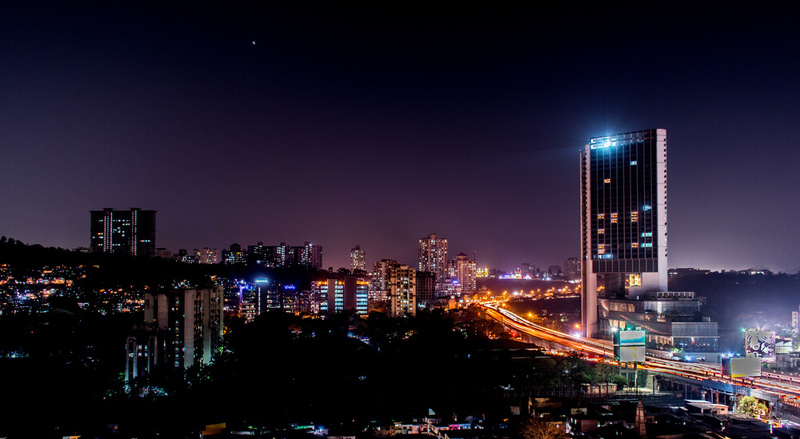 Be it historical charms, religious attractions, heart-pumping adventures or serenity amidst nature’s music- there is rarely anything that you don’t get around Mumbai. Apart from the aforementioned, exploring vast vineyards in Nasik, boisterous parties in Goa, toy train ride in Matheran or meditation in Igatpuri are as enriching affairs as any.